The Eleventh European Cave Rescue Meeting took place at the National Training Centre of the Bulgarian Red Cross, Dolni Lozen, Sofia from 5th to 8th of October. 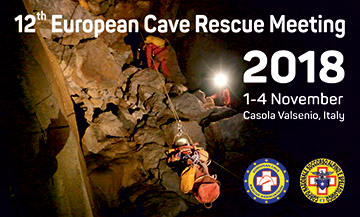 The event was organized by the European Cave Rescue Association, hosted by Cave Rescue – Bulgaria. There were participants from cave rescue organizations from Austria, Bulgaria, Great Britain, Italy, Poland, Portugal, Russia, Slovenia, Serbia, Turkey, Hungary, Croatia and Switzerland. Total number of participants – 41 from abroad and 21 from Bulgaria.